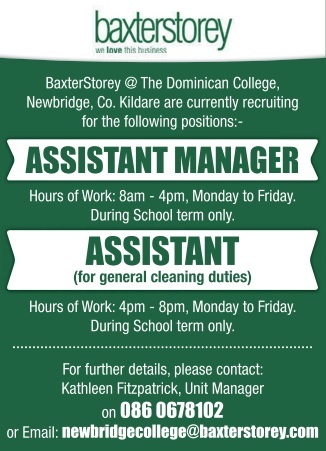 BaxterStorey, which provides catering services at the Dominican College, Newbridge, is hiring for two term-time roles. The company has vacancies for an assistant manager, and assistant (for general cleaning duties). For more details on the roles, and how to apply, see below.